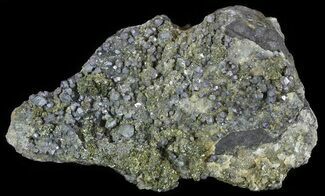 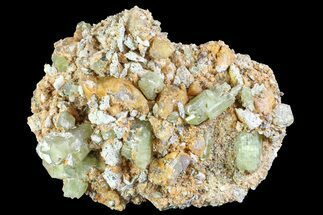 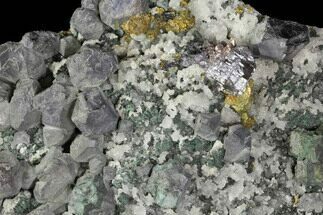 This is a crystal association that contains dark green epidote crystals in bow tie and fan shaped aggregates, on a bed of quartz. 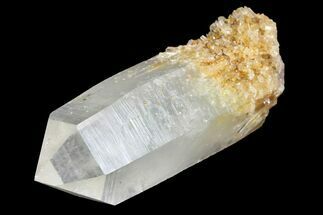 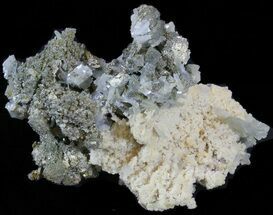 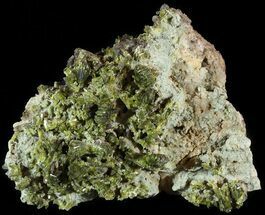 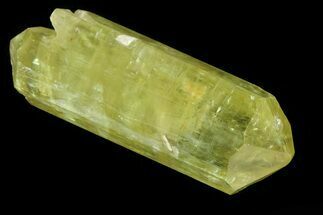 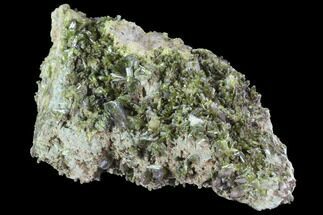 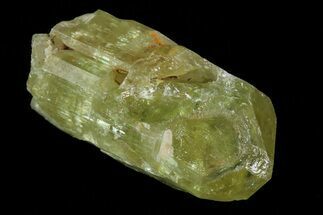 The majority of the quartz crystals look to have inclusions towards their terminations, possibly byssolite inclusions, however epidote is more likely. 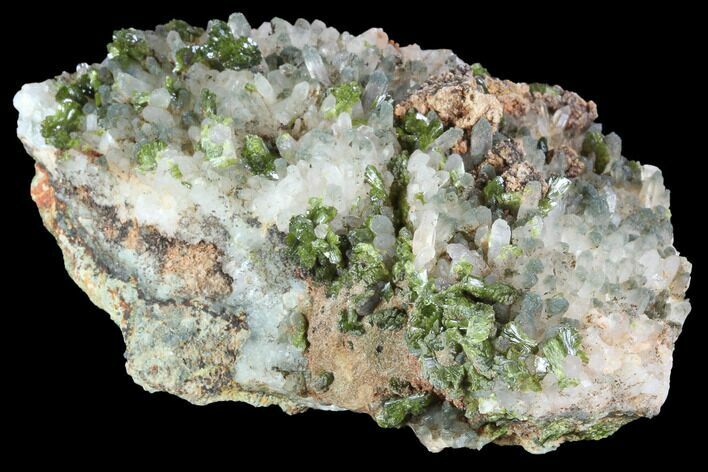 The specimen was collected at Imilchil in the Er Rachidia Province of Morocco.